Spring is here and with it comes the likelihood of rainstorms. Your home protects you from the elements, but heavy rain can certainly weaken that protection. 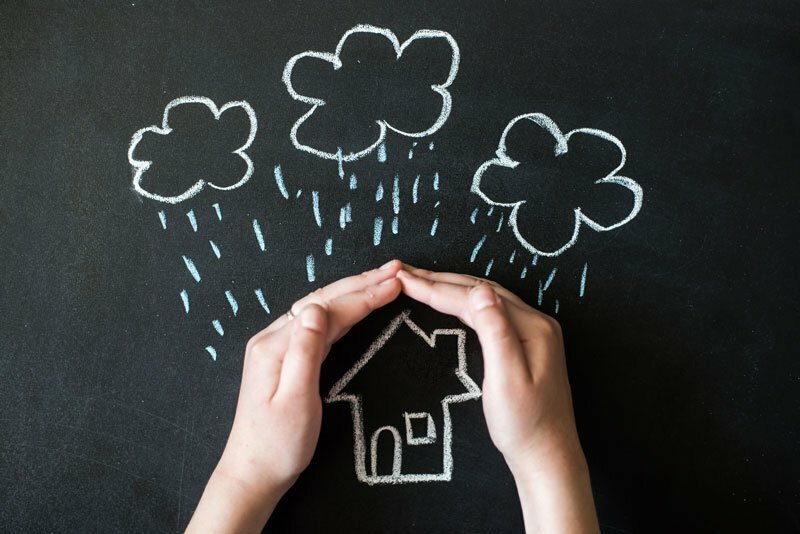 With a little maintenance, you can stay on top of your home’s protection when the storms hit. Along with reliable homeowners insurance in Vancouver, WA, these tips can help to prevent storm damage. Clear Out the Gutters – Your home’s gutters and downspouts help direct water away from your property. Clear your gutters of leaves, twigs, and dirt that may have accumulated over winter. A build-up of debris can stop the flow of water to the drains, which leads to overflowing. Be sure that the downspouts are directed away from the home’s foundation, too. Check the Sealant – Make sure that any gaps or holes in the sealant surrounding your doors and windows are filled in. This will prevent rain from seeping in and regular maintenance will greatly reduce the impact of sealant erosion. Inspect the Roof – If possible, check the roof for damage before a storm arrives or hire a professional to do it for you. You should be on the lookout for soft spots, missing shingles, damaged flashing, and any curves or dents that do not appear to be right. It is well worth getting your roof in good condition before the downpour. During a rainstorm, stay inside and keep an eye out for any signs of water in the crawlspaces, walls, and ceilings. Now is not the time to check your roof and clean your gutters! A little preparation beforehand will give you the peace of mind that your home can weather the storm. From homeowners insurance to flood coverage, the team at Action Insurance Group can help. We serve residents in WA, OR, CA, ID, and UT – Contact us today to get started.